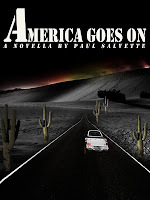 After some thorough editing and formatting, I finally released my debut novella: America Goes On. You can pick up a copy for just $0.99 at the Amazon Kindle store, at Barnes & Noble NOOK, or at Smashwords. All proceeds go toward the Kotchakorn Monica Salvette foundation, at least until she's old enough to get a job and start taking care of me and the wife. 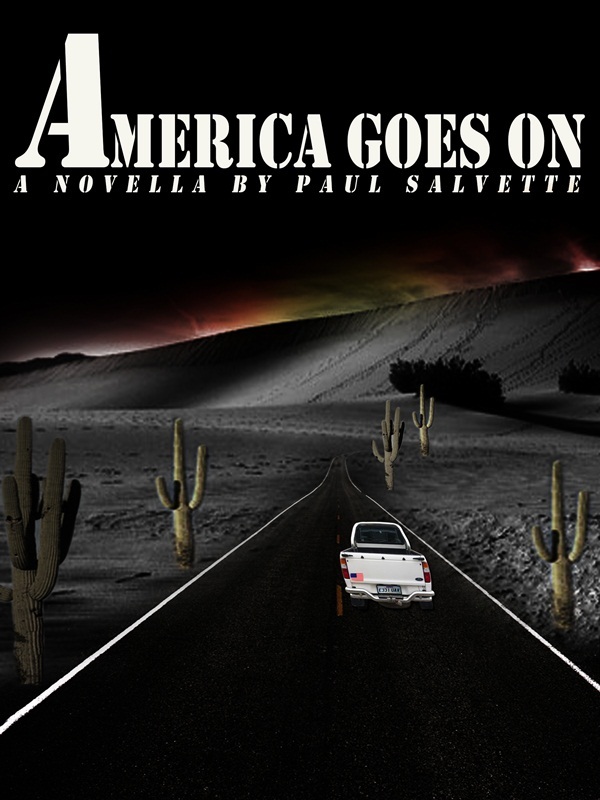 I came up with the idea for this novella when I saw a Marine looking down as he smoked in a plywood shack at Ali Al Salem Air Base, Kuwait, back in June 2007. This base is a logistics hub for military and civilian personnel traveling into and out of Iraq and Afghanistan. A lot of people and a lot of stories come through this purgatory in the desert. Everyone talks to each other in this environment, since there’s nothing to do but wait for your trip into the combat zone or flight back home. And then I thought about how many I’ve seen go through this hub but never make it back. I actually wrote this story in 2008 just before I finished my time as a lieutenant in the Navy. A year earlier I was a staff weenie in the International Zone under the Individual Augmentee program. It was a good experience for me, and I was fortunate enough to come away from the sandbox with all my fingers and toes. I have tremendous respect for the troops who’re patrolling outside the wire day in day out. It’s a very stressful environment where something bad and unexpected can happen 24/7. The reason I took so long to publish this novella is because I wrote it just for myself and a few friends. They gave me nice feedback, but it didn’t blow them away. Then, however, came the self-publishing revolution of 2011, and my wife was pregnant with our daughter. Seeing how a few extra bucks (or baht in my case) could go a long way, I decided to throw my hat into the ring. I dug up the manuscript on my computer and re-read it. The grammar was awful, the dialogue was stilted, and the story didn’t make sense. Using the powers of editing, both mine and my brother’s, we polished the manuscript into the version before you today. I hope that you enjoy it.